New Rates* are Now Available!! Please see more below for more information. 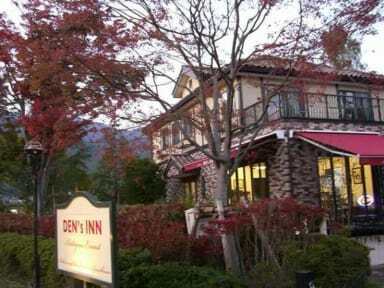 Den's Inn is convenient for you if you 're looking for a nice inn or hostel at the foot of magnificent Mt. Fuji. Fortunately our inn is not located in town centre. It's calm, peaceful, clean, full of fresh green, by lakeside. It's Den's Inn. Just my auntie and I are managing this small inn since 2011. We're always thinking about what we can do for our guests, and always trying to improve our service. We also like travelling. Please tell us about your travels, about your home town. Now I'd like to tell you about our new rates. 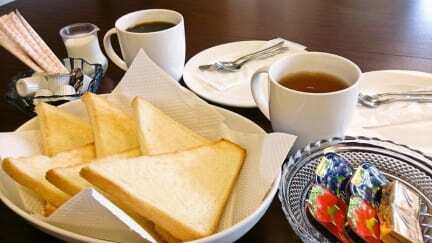 I will try an unexamled price by cutting just 2 services (free breakfast* and free pick up**). *We're serving up simple breakfast(see an attached photo). It's just 300 yen. Even if you couldn't get at the station by the time, you don't have to worry. I'll pick you up for 400 yen per person by 8PM (Let me have a beer!). The other services are the same as usual. Same room, same bed, free Wi-Fi, kitchen, fridge, boiled water, bicycle, hot shower and same staff. *We charge 300 yen per person for A/C cost during Augst.